A new World Health Organization (WHO) report chops the estimated number of people around the world living with the liver-damaging hepatitis C virus (HCV) in half—but the drop has nothing to do with the recent advent of powerful drugs that cure the disease for most everyone. WHO’s Global Hepatitis Report estimates that 71 million people in 2015 were living with HCV, down from an earlier estimate of 130 million to 150 million. As the report explains, the dramatic drop occurred primarily because of tests that measured HCV’s genetic material, RNA, in people. Previous epidemiological surveys tested whether people had antibodies against the virus, which is less precise. The report estimates that 257 million people are infected with hepatitis B virus (HBV), a number very close to previous estimates. Although HBV and HCV are unrelated, they both persist for decades, often without a person’s knowledge, and both can ultimately cause cirrhosis or liver cancer. Together, the viruses killed 1.34 million people in 2015, which the report notes is comparable to deaths from tuberculosis and higher than those from HIV/AIDS. The previous focus on HCV antibodies, or “seroprevalence,” to determine the number of infected people is confusing in two ways, says Graham Cooke, a hepatitis specialist at Imperial College London. Cooke recently conducted a meta-analysis of studies in sub-Saharan Africa and found that only 51% of people deemed positive on antibody tests had evidence of viral RNA. As much as one-third of this discrepancy is because some people spontaneously clear the virus, he says, although the antibodies linger. Another factor is the antibody test itself, which Cooke says often was imprecise in the past. WHO hepatologist Yvan Hutin in Geneva, Switzerland, the lead writer of the report, notes that a widely discussed paper on the global epidemiology of HCV published in 2014 had vastly reduced estimates. But he says WHO did not immediately adopt the lower numbers because it has a very small staff working on the global hepatitis program and wanted to confirm the figures with further studies. Until 2011, the standard drugs for HCV infection did not directly attack the virus, were highly toxic, required 48 weeks of treatment, and failed in up to 40% of people. But a slew of drugs that cripple HCV have since come to market that require just 12 weeks of treatment, have few side effects, and cure most everyone. The drugs have notoriously steep price tags in developed countries—about $45,000 for a cure—but companies allow poorer countries to use generics that cost as little as $200 for a full course of treatment. In 2015, only 1.1 million HCV-infected people started treatment. The diagnostics used to detect antibodies are far simpler to use than the ones that measure virus, which remain sparsely available in many hard-hit countries. The WHO report estimates that only 14 million people know they have active HCV infections. “The current situation is there may be more of an issue in terms of diagnostic tests than in terms of treatment,” Hutin says. HCV primarily is transmitted when people share needles for drug injection and through improperly sterilized medical equipment; HBV mainly is transmitted from infected mothers to their babies, and, for unclear reasons, between children. WHO estimates that in 2015, 1.75 million people became infected with HCV. The report does not give an estimate of the number of new HBV infections. But it notes that the global new infection rate of HBV in children under 5 years old dropped from 4.7% before there was a widely used vaccine (the first one came to market in 1981) to 1.3% in 2015. Whereas HCV is easier to treat, HBV is easier to prevent. The HBV vaccine is highly effective, and 84% of infants received it in 2015. 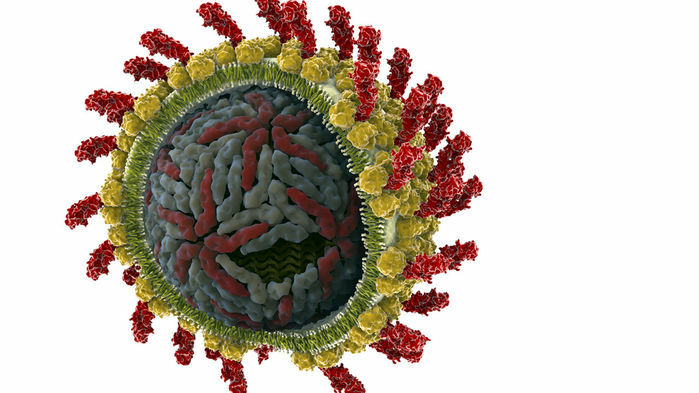 An HCV vaccine doesn’t exist yet. HBV can be treated, but it can’t be cured. Babies whose mothers have actively replicating HBV at the time of delivery are at risk of infection even if they get the birth dose. Giving pregnant women who are infected with HBV antivirals cuts the chance of infection, according to the report.